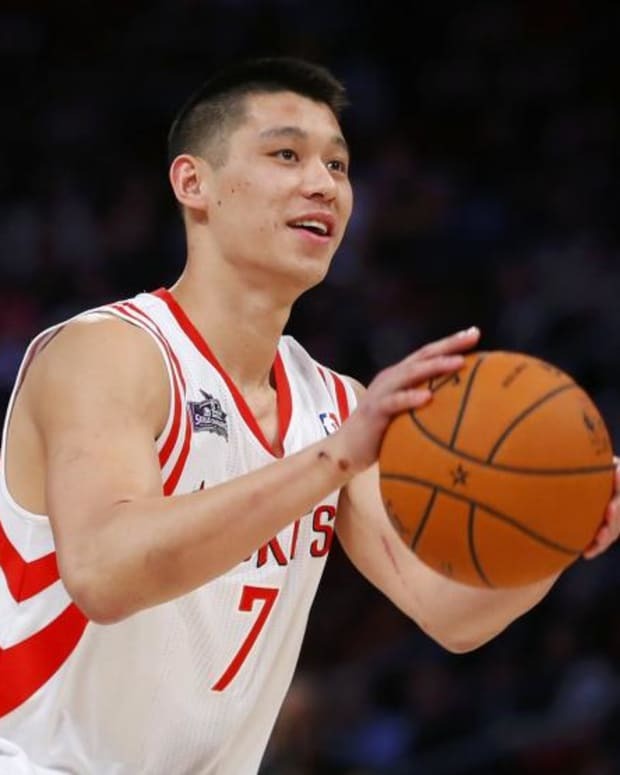 The Houston Rockets were seriously considering trading Jeremy Lin during the preseason. Team brass won’t admit it now, but it was a legitimate option right up until the Dwight Howard signing. As soon as Daryl Morey brought in his new big name center, talk turned from Lin getting traded to Omer Asik being dealt. Before the season began, Lin agreed to come off the bench behind Patrick Beverley. It was a move that many fans had called for, given the way Houston’s roster is set up, and it worked out beautifully. Prior to his injury, Lin’s resurgence was one of the NBA’s best stories of the year. The same couldn’t be said for Asik. Kevin McHale, much as he did last year with Lin, tried desperately to shove a square peg into a round hole. It didn’t work. Now Houston is really looking to move Asik, but there’s one problem: His trade value is at an all-time low. The New York Daily News reported earlier this week that Morey wants two first round picks for Asik. That’s a joke. The only way he could get anything even remotely close to that offer is if he throws Lin in. Originally there was some talk about Asik, and just Asik, going to the Portland Trail Blazers or New Orleans Pelicans. The latter squad isn’t willing to meet the asking price, and the former is on too hot of a streak right now to give up anything of value. Earlier in the week, some internet chatter started up about a Lin-Asik package landing with the Los Angeles Lakers, Boston Celtics, or New York Knicks. Let’s be clear: Neither the Lakers nor the Knicks will pull the trigger on a deal of this sort. Yes, L.A. needs both a young(er) big and point guard, but Mitch Kupchak is in cost-cutting mode right now. Besides, the Lakers wouldn’t be able to meet the draft pick asking price. Ditto for the Knicks, who are in a full-on tailspin right now. That leaves the Celtics. Ever since this summer, we’ve been arguing that Lin and Asik would be great in Boston. Both guys would be free to flourish in the starting lineup, and essentially they would play the roles that they envisioned themselves playing when they first came to Houston. In return, the Rockets would get back a starting point guard worthy of playing on a championship team in Rajon Rondo. It’s as close to fair value as either team could get. Will Lin plus Asik-for-Rondo happen? Probably not, just because it’s hard to pull deals of this magnitude off. But it certainly makes a lot more sense than some of the other ideas floating around.